You will be delighted when you check-in to this holiday accommodation in Broadbeach. Sandpiper beachfront apartments offer accommodation that has ocean views that go on forever and a beach that is just fifty metres away. 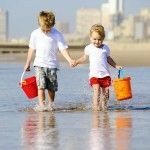 Broadbeach is also a very popular Surfers Paradise alternative; it’s relaxed atmosphere has great appeal to families and couples looking for a location with plenty of things to do without the exuberant energy of Surfers. 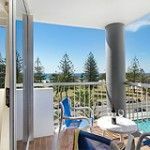 Sandpiper holiday apartments are fully self contained Gold Coast accommodation, with one and two bedroom options. You also have a choice of oceanfront views or views back the the hinterland. Lower level apartments have lovely views of the park lands that offer a greenbelt along this part of the Gold Coast esplanade. Directly in front of the Sandpiper Beachfront Apartments is Kurrawa Park, also home to the Kurrawa Surf Club. If you fancy a night out at your very local surf club. Grab a morning coffee, a cold beverage or even a quick, easy and delicious meal on the Kurrawa Surf Club. Just below Kurrawa Park is Pratten Park where there are playgrounds, public BBQs and other amenities to make an excursion to the beach a very convenient one. With the fully surf patrolled beaches in front of the apartments, you can be assured that so long as you swim between the flags you and your family will enjoy a safe day at the beach. Each apartment has a balcony with deck furniture, Foxtel for keeping up with sports or entertaining the kids and a fully equipped kitchen for a fully self catered holiday. The nearest Woolworths can be found in the Oasis Shopping Centre. It’s a handy three minute walk to get all your holiday provisions. Also nearby is the Pacific Fair Shopping Centre. It’s just had some extensive upgrades with plenty of new cafe, restaurant and bar operators established there. For an entertaining shopping experience you do not have to leave Broadbeach. 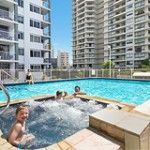 Check-in to this holiday accommodation in Broadbeach. You’ll be so glad you did. 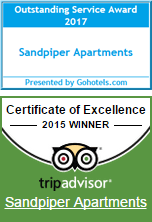 Sandpiper Beachfront Apartments with ocean views that go on forever and a beach the is just fifty metres away. Go on, this holiday accommodation has your name written all over it. Book now.